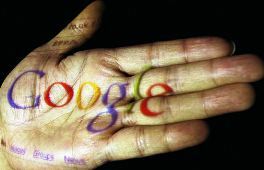 Internet search provider Google has joined hands with rivals Microsoft and Yahoo for a project -- schema.org -- that will improve web search results. These firms have launched a site called Schema.org, which consists of a common set of HTML tags that webmasters would use to mark up structured data on their sites. "We are announcing schema.org, a new initiative from Google, Bing and Yahoo to create and support a common vocabulary for structured data markup on web pages," Google said in its blog on Thursday. With schema.org, site owners and developers can learn about structured data and improve how their sites appear in major search engines. The site aims to be a one-stop resource for webmasters looking to add markup to their pages. of the sites are generated from structured data, which is often stored in databases. When this data is formatted into HTML, it becomes difficult to recover the original structured data. Now applications, especially search engines, would benefit greatly from direct access to this structured data. Schema.org contains over 100 different HTML tags for structured data categories such as events, places, people, organisations, products, music, movies and TV shows. Earlier, in 2006, Google, Yahoo, and Microsoft came together to create sitemaps.org, which helped standardise sitemap protocol.